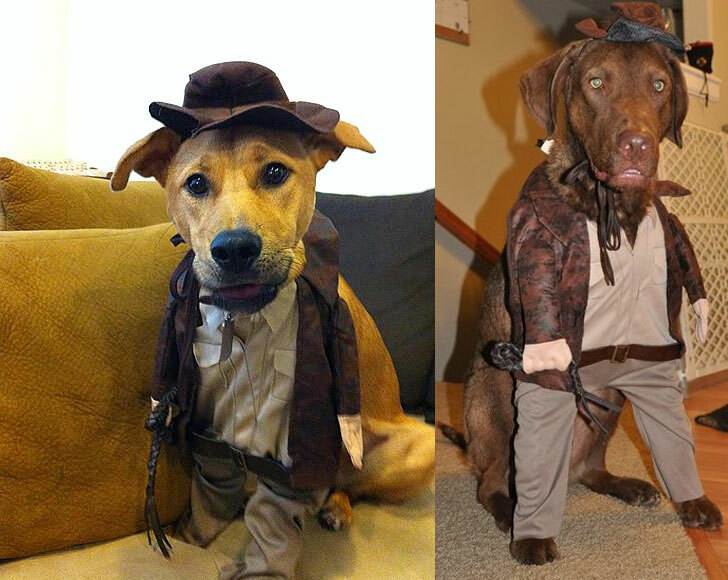 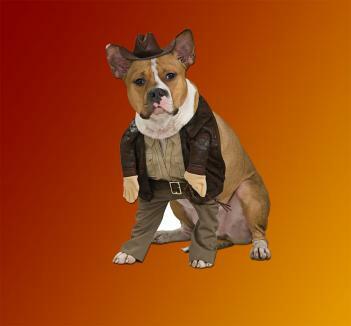 The Indiana Jones dog costume is a halloween costume for your dog that firstly makes him look like a complete fool, and secondly makes him look like Indiana Jones. What better way to have a good time this halloween than to dress your dog up in a stupid looking costume, drink some cocktails, have fun, and make fun of your stupid looking dog looking like an idiot, while you dog secretly in his mind is screaming "KILL ME!". 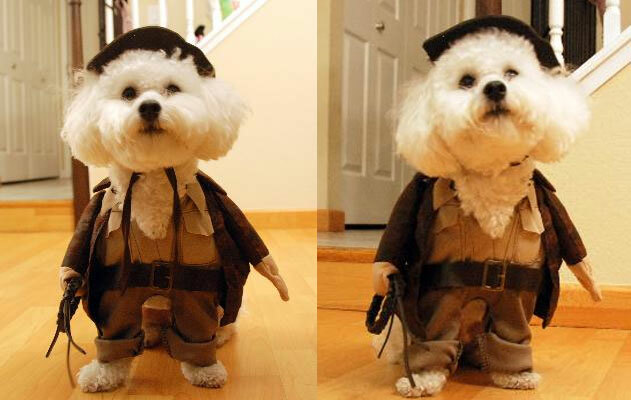 The Indiana Jones dog costume is made from polyester, includes Indie's signature fedora hat, is hand wash only, comes in many different sizes to fit your skinny or fatty fat fat dogs.